Vienna’s Max Brown 7th District is officially open! It’s an exciting addition to the EHPC portfolio as the fifth Max Brown hotel, our first-ever property in Austria and our 13th hotel. The hotel is set right in the heart of the 7th District, Vienna’s creative centre, and minutes’ walk away from the city’s highlights. To stay up-to-date on the hotel’s event and news, follow @MaxBrownHotels on Instagram. Our newest Sir is finally here! Introducing Barcelona’s Sir Victor, our first hotel in Barcelona and our second in Spain. It is a monumental acquisition for the Sir collection and the EHPC portfolio. The property used to be the legendary Hotel Omm, and Sir Victor will carry on its one-of-a-kind spirit. 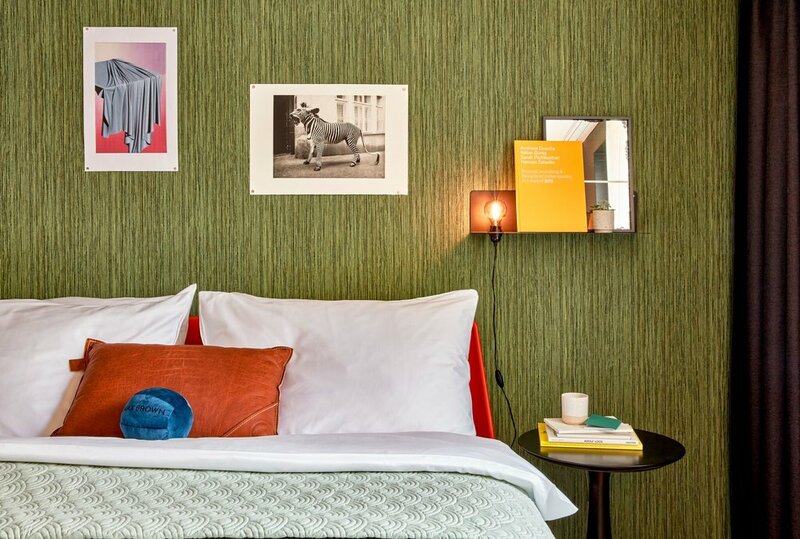 Follow @SirHotels on Instagram to stay up-to-date on all of our developments. We hope to see you soon in Barcelona. We’re taking steps to pay it forward this year. First step: the new Sir Cares program. Sir Adam supports Amsterdam’s A’DAM Music School, where talented young musicians are given the resources to develop their creative skills. Sir Savigny supports One Warm Winter, an organization in Berlin that provides essential goods to the homeless as well as refugees. Sir Nikolai supports Zeit Für Zukunft, an organization in Hamburg that connects underserved children with inspiring mentors. Sir Joan supports Ibiza Preservation Fund, an organization fighting for biodiversity preservation and sustainability in Ibiza. We will establish Sir Cares at Barcelona’s upcoming Sir Victor shortly. We are looking forward to collaborating with these organizations on events in our spaces. Sir Hotels just launched a stunning new website at www.sirhotels.com. Completely redesigned with Sir’s unique branding, it is now a platform to show off all the amazing things that we do, including events, Sir Explore, articles and Sir Cares. More exciting updates and improvements to come in 2019. Europe Hotels Private Collection has acquired Park Hotel Den Haag in The Hague, Netherlands, a legendary property right in the city’s Hofkqwartier, just steps away from the Great Church, Palace Gardens and Palace Noordeinde. Constructed in the early 1800s, the property was originally a school for boys. In the early 1900s, it became Hotel Pomona and was completely owned and operated by women, a rarity for the time. The hotel caused a stir by opening The Hague’s first-ever vegetarian restaurant, and it attracted the greatest minds of the day. Today it is known as one of the nicest hotels in the city, with spacious and elegant guest rooms as well as many large meeting spaces. Park Hotel Den Haag marks an exciting expansion of the Park Hotels brand in joining Park Hotel Amsterdam as the second in the collection. Visit the Park Hotels website to learn more.